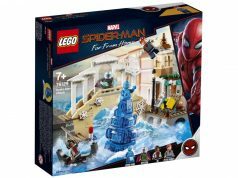 The new LEGO Marvel Super Heroes sets are now available for pre-order on Amazon UK and as a result, the official images of these new sets are now available as well. 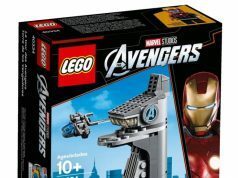 Below are the new LEGO Guardians of the Galaxy sets as well as the X-Men set. There is also a video demonstation of the Milano set from Marco. Magneto is using his powers to control The Sentinel in an attempt to capture Wolverine. Fight back fiercely with Wolverine and the other X-Men, dodging the huge robot’s large laser-style weapon and rotating flick missiles. Swoop to the super hero’s aid with Storm and Cyclops in the iconic Blackbird jet, firing the flick missiles and the spring-loaded shooter. Free Wolverine from The Sentinel’s grabbing hands so he can rejoin the battle. 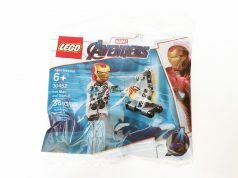 Includes 4 minifigures with assorted accessories: Wolverine, Cyclops, Storm and Magneto, plus The Sentinel robot figure.